The San Francisco Kindergarten to College program (K2C) is a unique opportunity to plan ahead and save for college, with a free savings account. PPS-SF volunteers preparing to speak at the K2C celebration on October 6, 2017. Research shows that children who have a college savings account, with even a small amount, are three times more likely to go to college. Based on this data, the City of San Francisco pilot-tested the K2C program in 2011. It was the first such program in the nation. Today, every child entering San Francisco public school kindergarten automatically receives a college savings account containing $50. Children in the National Student Lunch Program receive an additional $50 deposit. K2C also encourages families to save by offering incentives. The program automatically opens accounts for all SFUSD students who started kindergarten in 2012 and after. No paperwork, application, or signature is needed. Students will bring home from school their welcome kit with an account card inside 2-3 months after the semester begins. 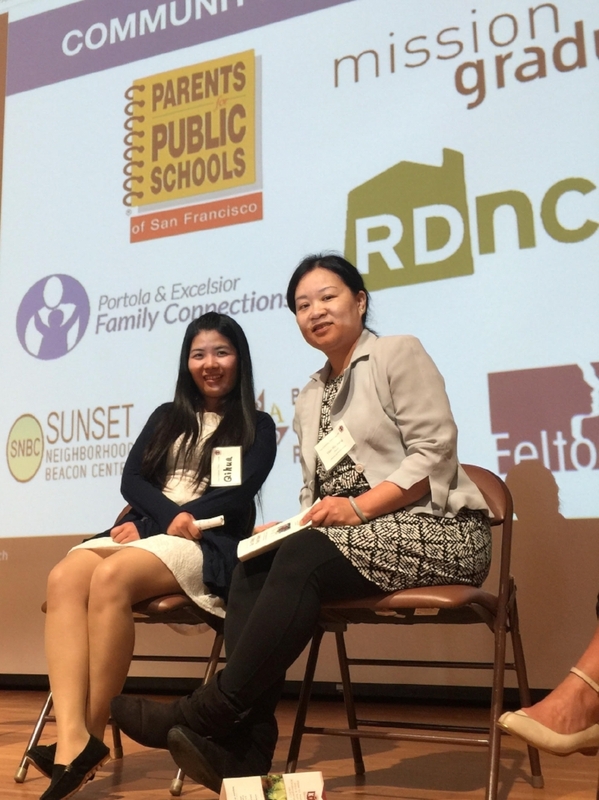 PPS-SF volunteers who have participated in K2C recently celebrated at a special luncheon with SFUSD Superintendent Vincent Matthews and other community leaders. Participants shared their stories and celebrated the success of this innovative program. They encouraged other families to take advantage of K2C by completing the paperwork and enrolling.